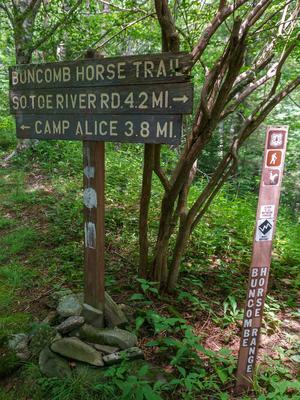 This is the third-longest trail in the Appalachian District, after the Appalachian Trail and Mountains to Sea Trail. 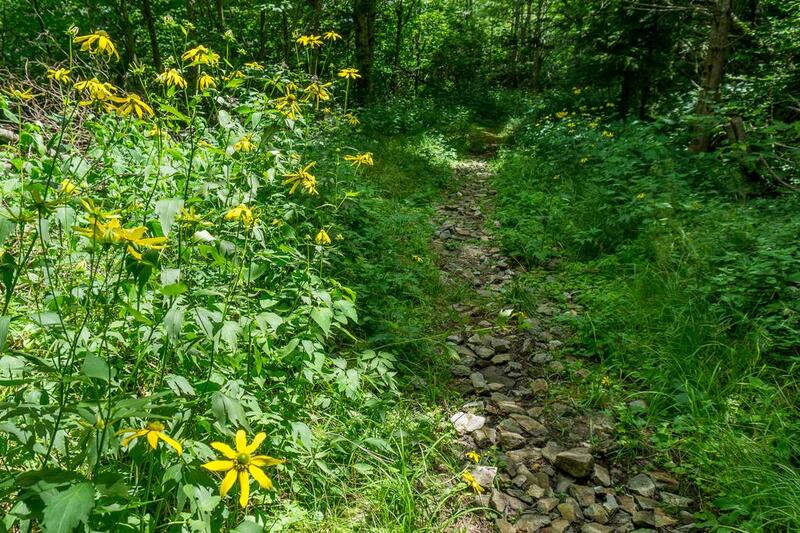 It also has one of the highest average elevations of any trail in the region, with a long stretch above 5000 ft topping out at about 5800 ft on Commissary Ridge. Starting on the south end at FS 472, S. Toe River Road, the trail climbs 1800 ft up its namesake ridge through Salt Rock Gap to the junction with the old railroad grade/Mountains to Sea Trail near the headwaters of Right Prong. 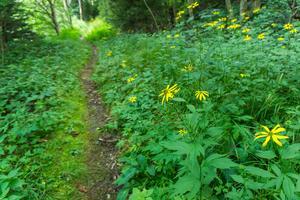 The trail then turns north onto the old railroad grade and, in addition to open areas with grasses, mountain laurel, rhododedron, and blueberry shrubs, runs through stands of red spruce and Fraser fir, with views of above-6,000 ft peaks. 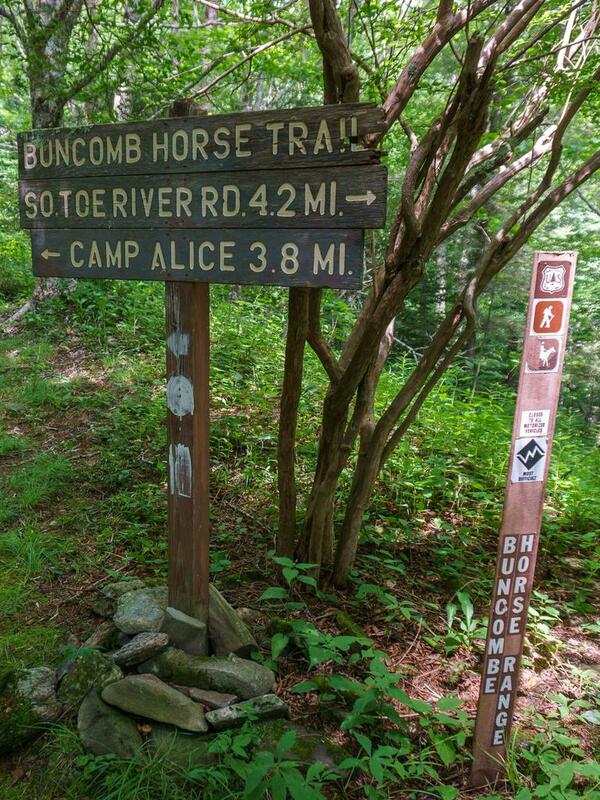 Camping is possible near Commissary Hill and Maple Camp Bald, just outside Mount Mitchell State Park, where there are a few (signed) junctions. It continues north of the point where the Mount Mitchell/Mountains to Sea trail leaves the shared path (to descend to Black Mountains Campground), on a lesser-used portion of the old railroad grade, before beginning its long descent of Maple Camp Ridge to Colbert Creek. 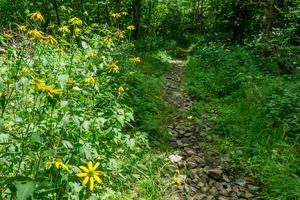 Note that the trail switchbacks heavily below Maple Camp Bald and pay close attention to the trail signs and blazes because the trail crosses open fields and many intersections.